Hey! We all know that Origin doesn't support cloud syncing for TS4 because our gameplay data tends to get really big. I decided to experiment a bit and see if I could sync my saves between my home and work PC (we're allowed to play during breaks, so it's fine). I did a little research and found a method that worked for me, so I'm sharing it with you guys. As a bonus, my files are on the cloud, so if my hard drive crashes, my saves will always be up-to-date. We're going to make use of something called symbolic links. Symbolic links are like shortcuts, but a bit fancier. 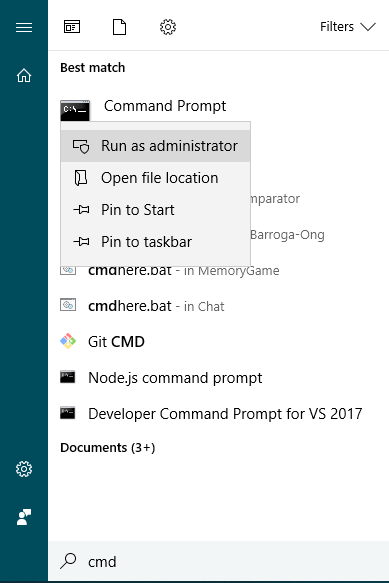 On Windows, these let you trick Dropbox and other cloud services into syncing any folder in your computer, regardless of its location. We're mostly concerned with these folders in your The Sims 4 folder in My Documents. If you play in a language other than English, the names of these folders will be different. Why not just sync the entire Sims 4 folder? This is what I did at first, but the disadvantage is that these cloud services don't let you choose which files to sync. You'll end up with a lot of junk that you don't need in your cloud storage. Most of the files outside these folders are temporary files that the game uses for processing or trivial stuff like which CAS items you haven't used yet. Plus the game updates these a lot, so they'll use up your bandwidth too. 1. If you've already synced your folders to the cloud and want to sync a new computer, pause your cloud storage service, and delete any Sims 4 folders that it tried to download. We want it to download the folders into your documents folder. mklink /d "<path to your cloud service's folder>" "<path to your documents folder>"
mklink /d "C:/Users/Iceman/Dropbox/saves" "C:/Users/Iceman/Documents/Electronic Arts/The Sims 4/saves"
Of course, the folder paths are different per user, so it's up to you to figure out where everything is. It takes a while to set up, but it's well worth the effort, IMO. You can pause syncing on your cloud service while playing to save on bandwidth, but don't forget to unpause after playing! This is pretty cool. I play my main save on a desktop in the den and I have a vampire save on my laptop for playing when I don't feel like being chained to my desk. 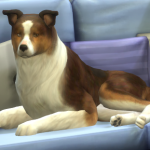 Before this, it was just me messing around with TS4 stuff on my work PC. But now that my "main" saves are synced, I can make some progress on my saves if I have some time to spare at work. Where were you when I was busy housebreaking my two Beagle pups? LOL I was stuck downstairs on the main floor (since the flooring is all Slate and much easier to clean than carpeting). I kept having to move where I sat with my laptop, as despite my cleverness at 'hiding' the power cord for the thing, one of them got too interested. Don't want a scorched puppy. Ultimately, I ended up at the bar since that's part of the kitchen and the bar stools are very high (we have a Great Room). I played my game there when I wasn't busy revising my latest manuscript. GF hit and well, that first attempt was interesting. 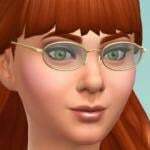 What I did was place my Sims 4 game folder onto a flash drive and transfer it to my gaming computer. When I finally got back upstairs, I didn't bother transferring the game, but just picked up where I'd left off, so that there is two completely different games going on. I don't expect to play on the laptop again for quite some time. By then, I may scrap the saves and start fresh. But, this would have been very useful. Thanks for sharing! Question, and this could be cause I'm just waking up and haven't had my full first cup of coffee yet... Do you have to be online to access your saves ever? Like, if I played last night, and it saved to One Drive, and I woke up this morning and my internet was out (cause I have satellite internet and it goes out cause the wind blew sometimes) would I not be able to access my saves and play my game? The only thing is that if you're offline, you won't be able to sync your saves to the cloud. That's about it.